Before Lil Mama crashed Jay-Z and Alicia Keys at the MTV Awards, there was this creep at the Grammys. He had been hired to stand in the background with some other paid extras and nod his head while the legendary Bob Dylan ran through "Love Sick." 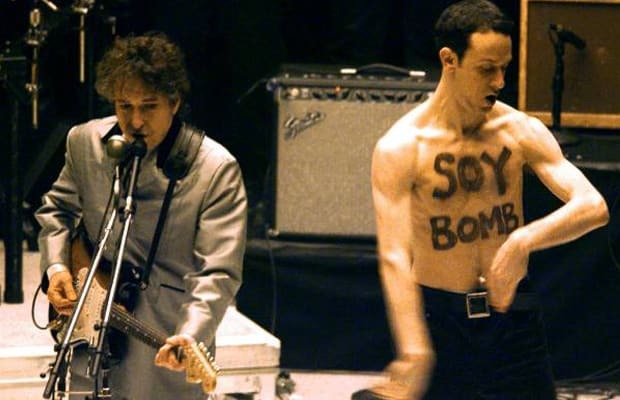 Instead he ripped off his shirt and copped a cool 30 seconds of air time doing the robot with the words "SOY BOMB" written on his chest. Dork.